Born in New Hampton, Iowa, Ryan grew up as a trumpet player before discovering his love for rhythm and percussion. At age 18, he began playing professionally in the Midwest. His passion for drumming grew and eventually led him to Los Angeles, CA, where he attended Musician’s Institute. After graduation, Ryan worked as a studio drummer and performed live with multiple acts in the LA area. During this time Ryan also discovered his love of teaching music. At age 25, Ryan began teaching music lessons full time at multiple lesson facilities. Then at age 28, along with two colleagues, Ryan created Pure Rock Studios located in Whittier, CA. The goal was to give students an opportunity to learn alongside working professionals and perform in a live-band setting. After 3 years and hundreds of students taught, Ryan decided it was time to take what he had learned, and head back to the Midwest. Now 37, Ryan is the proud owner of Pure Rock Studios of Rochester, and is fast becoming one of the premier percussion instructors in the area. Ryan brings a unique combination of experience, patience, and passion when it comes to teaching drum lessons. Ryan can also be seen playing around the area with his band County Line Drive. Originally from Northfield MN, Drew graduated with a bachelor's degree in Music/Liberal Arts and a minor in Business Administration from Winona State University in December 2012. He has over a decade of live performance experience with his band Breakthrough™, as well as a few others. His combined education and performance experience has taught him many lessons, including; instrument and musician roles in a modern band setting, group dynamics, the performance of various genres, learning new music quickly and accurately both by ear and through written music, building and memorizing a repertoire, how to recognize and adapt quickly to unexpected or unpredictable changes in the performance environment, and how to develop a personal playing style. Drew believes that each of these traits is essential in fostering the growth of a well-rounded musician. A 2004 graduate of Mayo High School, Blake holds a B.A. in Double Bass Performance from the University of Minnesota, Twin Cities with an M.M. in Double Bass Performance pending. In addition to his formal classical training on Double Bass, he has also has over 15 years of experience on Electric Bass Guitar. He has been active as a Private Music teacher for over 10 years and has taught courses in Music Theory as a graduate instructor at the University of Minnesota. Presently, he is active as a performer across a wide variety of musical styles. As an orchestral musician, he performs as a member of the Duluth Superior Symphony Orchestra, the La Crosse Symphony Orchestra, and the Rochester Symphony Orchestra and Chorale. He also is a member of several local bands, covering styles including Acoustic Americana (Root River Jam), Country (County Line Drive), and Blues (Chaser Straight). In addition, he is an avid jazz musician with several years of experience playing locally and in the Twin Cities. Josh is a guitar player, song-writer, and music enthusiast, who has quickly come to make music into a career. He has a diverse taste in music but has a soft spot for all genres of rock and metal. 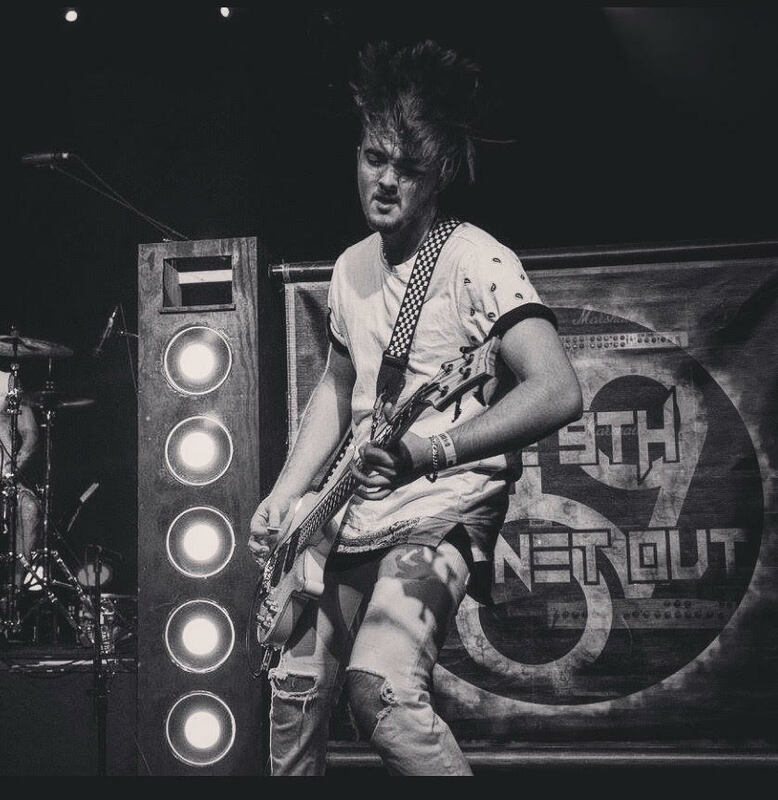 Josh is currently the lead guitarist of The 9th Planet Out, a local hard rock and metal band, and has years of stage experience. Along with guitar, he also has other instruments in his arsenal, such as bass, drums, piano, ukulele, and can also sing. This gives him a much stronger view point on the structures of music, and what brings it all together. He believes anyone can have fun making music and that there is nothing better than seeing music bring people together. Cameron Taylor was born and raised in Rochester, and has been playing saxophone since he was 9 years old. He has experience playing alto, bari, and tenor saxophone. Cameron loves all of the jazz classics, but particularly Coleman Hawkins, and Charlie Parker. Beyond saxophonists, Chick Corea and Duke Ellington. While jazz saxophone is his main dig, Cameron also loves playing classical pieces and rock pieces. Cameron organized his own saxophone quartet with friends, and loves to play with the local band the D’sievers on their jazz jam nights. Alex is a 2016 graduate of Rockford University with his BFA in Musical Theatre. For two years after graduation he worked in the regional theater scene in the Midwest and Southern states after which he married and moved to Rochester. He now works mainly in the Twin Cities as a performer and as part of the Barbara Schneider Foundation's Crisis Intervention Training team, working with police, corrections, and medical staff on de-escalating those with mental illnesses. Although he comes from a mainly classical and theatrical singing background, he has always had a passion for all types of music and is currently developing an indie rock album, and hopes to contribute to Rochester's local music scene in the coming years. Dylan began playing drums at the age of 8 and has been involved in a variety of projects since then. His project, Dystonia, released 2 EPs, 2 full length albums, and was featured on the Local Current before heading off to college. Currently, he is a member of 3 bands based in both Rochester and Nashville. Dylan is currently attending Belmont University in Nashville, TN pursuing a degree in Music Business with an emphasis in Production. He is also the curator of ROCKchester, a teen music and arts festival which will be held at PRS this summer! Derek grew up in Mantorville, MN. In middle school he played trumpet and picked up the drums in 9th grade. Throughout high school he played in various bands eventually learning that he could sing so he picked up the guitar in order to write songs and front a band. He stayed active playing drums in church and jam bands with friends. Derek then attended Bethel University in St. Paul where he graduated with a Media Communications Degree and also began to take playing the drums seriously. He studied under Steve Goold earning his way into the jazz band his sophomore year. Currently Derek fronts the band the Jukes of Hazzard, a 70's rock/funk cover band, where he plays rhythm guitar and lead vocals. This has given him the skills to understand what it takes to front a band, to be a drummer, and how the two work together. He also plays drums for his local church and writes drum, guitar, and vocals for the band Leaving Neon. Zachary has had 9 years of experience playing in several bands, jamming with others, and playing the drums in numerous musicals. He is currently expanding his knowledge of music by attending McNally Smith College of Music in St. Paul. He is majoring in Music Business and minoring in Percussion Performance. Raquel loved plunking the keys on her grandma’s old upright piano at a very young age, and with much encouragement to start lessons, she finally did at the age of 7. After 8 years of lessons it was time to start teaching. Raquel has 4 years of teaching experience under her belt! Raquel had plenty of opportunities to learn about music since she was homeschooled all her life and graduated at the age of 16. Next, she is graduating with a Music Technology certificate from Rochester Community and Technical College (RCTC) in 2019, with knowledge of how to record in studios, run live lights, and make professional music videos. Then she will be going back to take more music classes and learn about music theory. Her knowledge of live performance, thanks to Pure Rock Studios, has led her to be in bands and to play at Highpoint Church on the worship team. Performing on stage is no problem to her, and she feels like it’s a thrill of a lifetime! Raquel hopes to help everyone conquer their stage fright so they can experience and fall in love with live performance like she did. Raquel works with all ages and experience levels, and enjoys sharing her love for music with everyone. She doesn’t teach in just one specific way, because she believes everyone learns differently and at different paces. Raquel will go above and beyond to answer your simple and difficult questions, no matter what. Lucas Horvath began playing piano at the age of five. His musical taste and influence is nothing short of diverse. From classical, to rock, to pop, to R&B, even stemming to hip-hop. His musical sound comes mainly from 70's and 80's rock and pop like Michael Jackson, Parliament-Funkadelic, and the Beatles. Lucas’s three main priorities are to: inspire people to learn an instrument, teach people how to play piano, and to support the local music scenes. As a student, Lucas was allowed to partake in the annual MMTA (Minnesota Music Teacher's Association) Piano Contest; a contest where piano students from all over the state compete to play in an annual Honors Recital at the University of Minnesota. Lucas won that contest four times and played in all four Honors Concerts as a pianist. Lucas graduated from Mayo High School in 2013 and went on to pursue in music production and audio engineering at the Institute of Production and Recording in Minneapolis. He has served a number of clients while at college and has arranged a few songs for his repertoire." Lucas was a teacher's assistant for a Music Theory course in college and has exceptional music theory knowledge. He has a positive vibe and a hard work ethic. He believes that hard work, practice, and dedication really do pay off. When you work with Lucas, you are guaranteed to have fun! Music was a big part of Sara's family and childhood. She started with piano lessons at a young age, learning a variety of instruments throughout grade school, and always taking every chance she could get to sing. By the time she was in high school, she was taking private vocal lessons, playing the piano, leading children’s’ choirs at church, participating in multiple choirs herself, and learning to play the guitar on her own. She then attended Luther College in Decorah, Iowa. There, she continued with classical voice training and was a part of multiple touring choirs. Sara had the opportunity to sing all around the Midwest, including places like Orchestra Hall in the Twin Cities. Being a part of that musical community allowed her to grow as a musician and be inspired by other musicians. In the past several years, Sara has found a passion in writing music. Music has allowed her to express herself and heal in ways that were never possible before. I began writing songs with friends and started to share music with more people. Eventually leading her to stages in Portland, Oregon, as well as here in Rochester, MN. Sara hopes to continue to share her love of music with many more people, and to teach the ways that music can transform us and connect us to one another. Jake is a Rochester native with a strong passion for music. The guitarist, bassist, and songwriter has been playing since he was 12 and has always had strong musical aspirations. He is currently the bassist in the Rochester rock band “The 9th Planet Out”. With large-crowd stage experience, and studio recording experience, Jake is eager to share and spread his love for music. He has studied music classes throughout college, and is currently enrolled at Winona State pursuing his bachelor’s degree. Jake has a strong love for all genres of music, but classic rock n roll is his forte. He is a firm believer that music is a universal language, and strives to spread his passion for music in a fun and exciting manner. Born in El Paso, Texas. Alonzo began playing drums at the age of 8 at his fathers church in the southwest. He played trumpet and drums (jazz, marching, concert) throughout high school until he was given a scholarship to U of A (Arkansas) where he played one year on the razorbacks drumline. He then found a passion for producing and recording, he has played professionally with several artists like, Circleslide, Rojo (Emmanuel Espinoza), Twila Paris, Logos, MR3, the Allan Morriv Band. He has owned his recording studio for 11 years strong. Alonzo's focus at pure rock will be to instruct on drums and percussion and teaching the art of audio recording and producing. Patrick grew up in Plainview, MN and began playing guitar at the age of 16. He attended Studio Academy High School in Rochester where he graduated with honors in music. When Patrick was 18, he placed 2nd in the Minnesota State Fair performance competition playing “I’m Alright” by Neil Zaza. He also played guitar for six years for a variety of churches and performed with touring artist Brady Toops. His music preferences range from advanced melodic neo-classical to simple punk. Patrick is a guitar player, main vocalist, and primary song writer for local indie band Under the Pavilion which has opened for Har Mar Superstar, Revenge Wedding and Color You and competed in My Town My Music’s Local Music Showdown. He also has experience playing bass and building guitars and effects pedals. Patrick has always believed that anyone can play music. They just need to approach it the right way. Isaac grew up in Rochester, and is a proud alumnus of Pure Rock Studios where he studied both voice and guitar. Currently, he attends St. Olaf College in Northfield, Minnesota where he is pursuing a Bachelor of Arts in vocal music. Along with his formal vocal training, Isaac has ten years of singing experience with the St. Olaf Viking Chorus and the Honors Choirs of Southeast Minnesota, where he served as an assistant conductor for one year and participated in their tour of Europe. Isaac has a wide range of performance experience including singing with his guitar at the Minnesota and Iowa state fairs, participating in school musicals, and performing at the Rochester Music Guild and other classical recitals. Isaac believes that being a musician positively impacts a person in every aspect of his or her life and hopes to demonstrate how music can be a force of healing and unity. A Midwestern native, Mitchell Gage has performed and taught private voice in Iowa, Minnesota, and Wisconsin. While his primary training and performance has been in classical music, opera, musical theatre, and jazz, he has also taught and sung in various other styles. Mr. Gage is currently finishing undergraduate studies at Luther College in Decorah, IA, double majoring in Music - V0cal Performance and Theatre with a minor in Management. While performing in various productions at Luther College, Mitchell has performed with other organizations such as Cedar Rapids Opera Theatre, Absolute Theatre of Rochester, and other organizations. In the upcoming summer, Mr. Gage will be performing opera in Italy with La Musica Lirica. He has coached musical theatre students for high school competition as well as been a clinician for camps. However, Mitchell has worked with a wide range of ages before - all the way from 7 or 8 years old to students in their 60s. Alex started his journey to the drums with taping on minnow buckets and banging on pots and pans, but that soon grew into a passion for music that would stay with him forever. So he started a band in 6th grade, and has been performing as much as he can ever since. He went on to Iowa State University to earn a Bachelor of Arts in Music, studying classical percussion under Dr. Matthew Coley. After that, he went to Berklee College of Music's Masters Campus in Valencia, Spain to earn a degree in Contemporary Performance (drum set) and Production, studying under Mariano Steimberg and Yoel Paez. While there, he got the chance to perform with players like Victor Mendoza, Gary Willis, and Casey Driessen. Alex's drumming is featured on several albums by TC Ortberg, "Crisis" by the Iowa-based band Identity, the debut EP from The Righteous Wicked, and several of his own releases under the artist name Alexander. He has several hundred hours of studio recording experience, both behind the drums and behind the console. He has helped produce countless live music productions over the last 10 years, and has 10+ years of live performance experience. Emily, born and raised in Rochester, has known music her entire life. From birth, her mother played Enya to help her fall asleep, and her love for music grew from there. Emily learned to sing by watching and listening to her mother, whom also taught her the basics of piano from a young age. She continued learning piano on her own before beginning piano lessons around the age of nine. After two years of private lessons, she transitioned to learning violin during her middle school years. During her high school years, she took a hiatus from the lessons and learning, but she never quit playing music. While working towards her BA in Communication at the College of St. Scholastica in Duluth, MN, Emily fell further into the world of music and her creativity. She began writing again, brushed up her piano, theory and reading, learned the guitar, trained in acting and voice, and spent her final year living in London, England, where she studied acting and creative writing. All the while, she continued to write, play, and sing, before setting foot on her further travels around Europe, with an ukulele in hand. Emily is currently writing and recording her music at Carpet Booth Studios, and performing under her stage name, VILD, alongside her band.